Set up in May 2017, Nirvana Brewery is one of the growing number of specialist low alcohol breweries leading the way when it comes to producing good quality alcohol-free and low-alcohol beers. I’ve already reviewed its two excellent 0.5% ABV ales, “Karma” (a pale ale) and “Sutra” (an IPA). 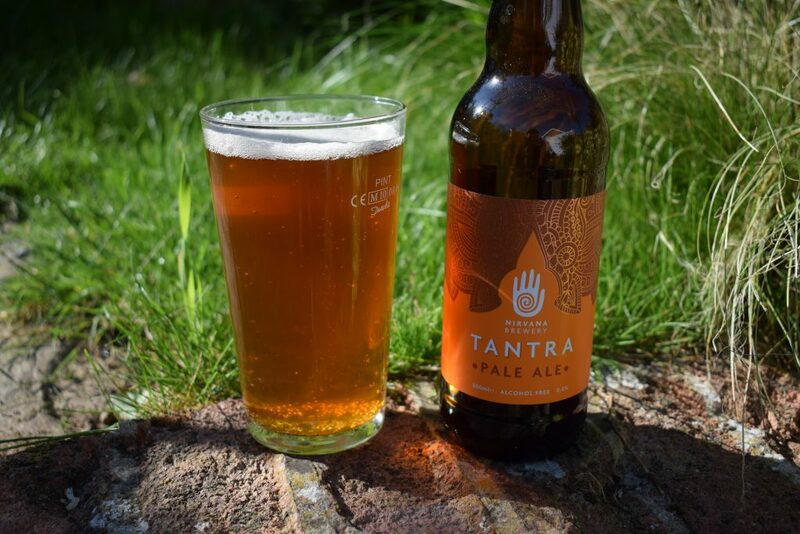 Now it’s the turn of its 0% pale ale, “Tantra”. Many still link the word “Tantra” to pop star Sting’s bedroom exploits (come on people, this was almost 30 years ago now). The association here is with Nirvana’s Buddhist-themed philosophy and branding, which features yoga meet ups at the brewery and a commitment to producing beer that’s suitable for vegans. 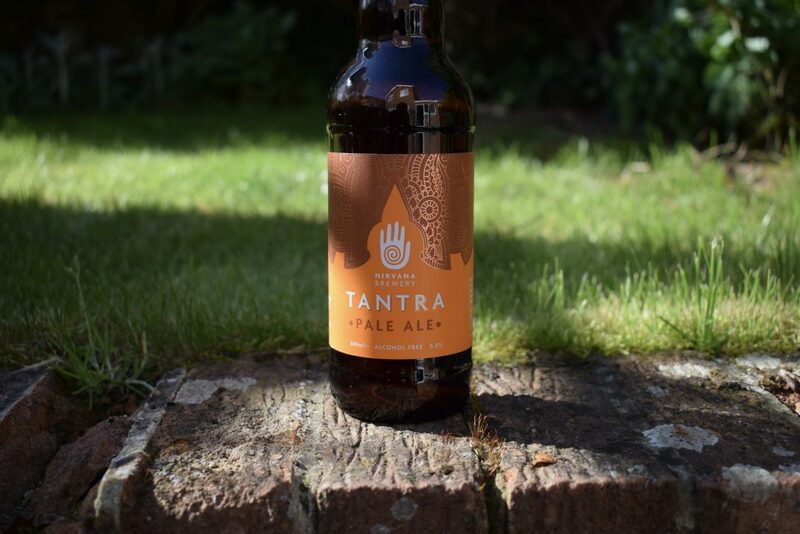 The main difference between Tantra and the brewery’s other pale ale, Karma – apart from the ABV – is that Tantra is in the style of a more traditional pale ale. On pouring, this is evident. Unlike the straw-coloured Karma, the malts the brewers have used in this one have produced a light caramel-coloured beer that you could easily mistake for a best bitter at a glance. There’s a decent head too, which adds to its handsomeness. So far, so good. However, after a whiff of Tantra I knew instantly that this wasn’t a beer for me. Yeasty and savoury with a touch of malt and little sign of any hops, it didn’t encourage me to want to drink on. When I did take a sip, I found that the malty caramel flavour promised on the bottle was overpowered by a slight sourness and a very bitter finish. In all, it tasted like liquid wort pre-fermentation rather than a conditioned beer. But then, this does come in at 0% so maybe the brewer halts fermentation early to keep the alcohol content to zero. The mouthfeel was better. It was quite thick and was close to resembling the real thing, although I did find it a little syrupy as I drank more and more – maybe a 330ml bottle would be a better-sized serving here. Fizz wise, it was nicely carbonated without being overly gassy like your typical bottled beer. This 0% pale ale didn’t work for me, despite its good mouthfeel and handsome appearance. 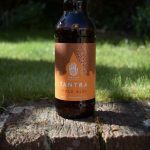 If you find St Peter’s “Without” or Innis and Gunn’s “Innis and None” palatable, you might like Tantra. If not, I’d stick with Nirvana’s 0.5% beers, Karma and Sutra.